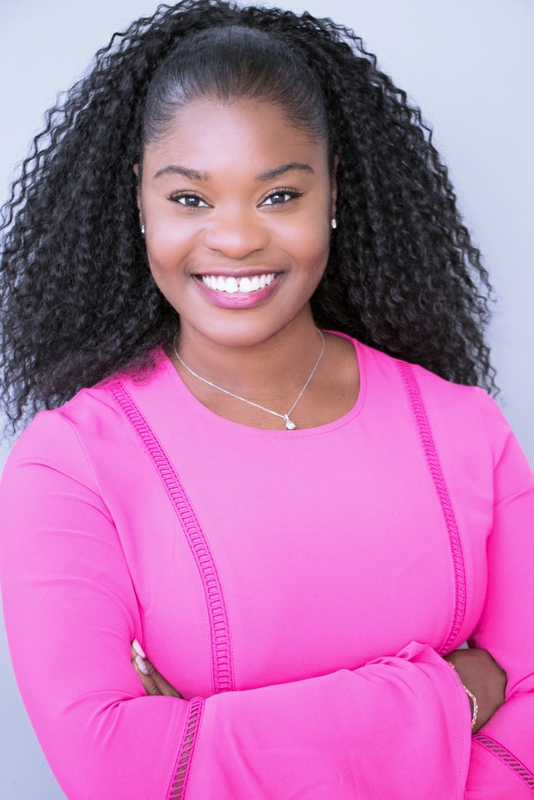 In the eighth grade, student entrepreneur Audrey Awasom received an unconventional but quite prescient superlative — she was named “Most Likely to Ask Why.” Perhaps her teachers and classmates were on to something, because it was exactly this mentality which led Audrey to become an entrepreneur. As a sophomore in college, Audrey noticed an increased in homelessness in her community. She asked why, of course, but she didn’t stop there. She did research, talked to her professors, and even called the homeless shelters to ask how to help. With this knowledge, she then co-founded a pilot program to provide career readiness workshops for homeless women. Today, she is President and CEO of Noble Uprising, a non-profit organization that supports job creation for women in homeless shelters through workforce development and business partnerships, specifically through a 6-month intense career readiness program. 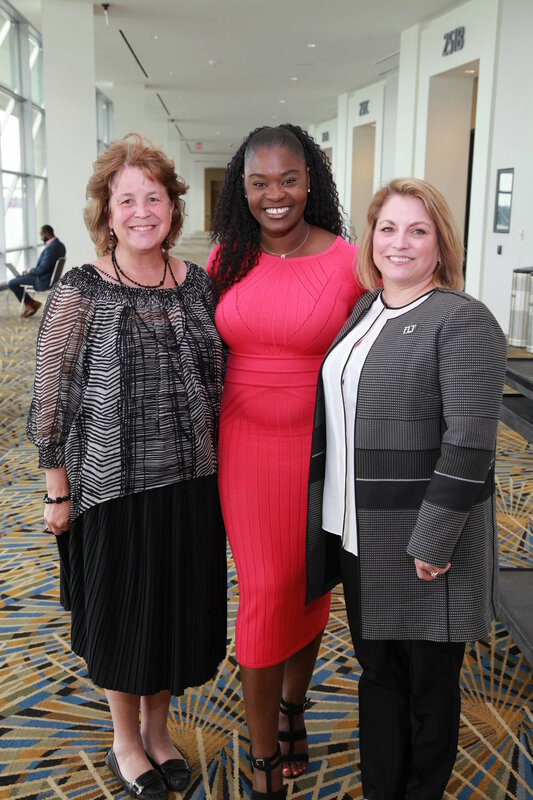 Audrey was a finalist in the 2018 WBENC Student Entrepreneur Program (SEP), which took place in June during the WBENC National Conference & Business Fair in Detroit, Michigan. 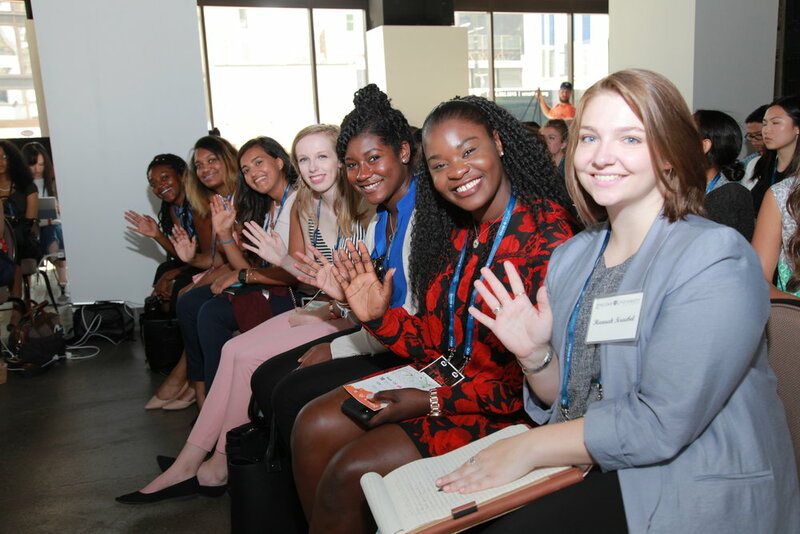 As the premier startup program for collegiate female founders, SEP fosters growth for the next generation of women-owned businesses through a tailored entrepreneurial curriculum, mentorship, and a pitch competition, where students compete for $20k in seed capital. Audrey came in fourth place out of 22 incredible female founders. We interviewed Audrey to learn more about the inspiration behind her business, her experience as a young female entrepreneur, and what’s next for Noble Uprising. I began my pursuit for serving others when I co-founded a socially responsible project my sophomore year of college called the One Heart Project. The One Heart Project was created when I noticed an increase in homeless individuals in my community. Instead of just talking about it, I began to conduct more research, consult with my professors, and contact homeless shelters to inquire about their needs. After conducting research, I partnered with a local homeless shelter to provide their women with career readiness workshops. The project was successfully able to positively impact over 50 women experiencing homelessness in Montgomery Avenue Women’s Center. Through the success of the One Heart Project, Noble Uprising was created to ensure continued positive impact for women experiencing homelessness in the community. What has been the most rewarding part of being a young female entrepreneur? One of the most rewarding aspects of being a young entrepreneur is making an impact in my community and knowing that there is much more to learn. Noble Uprising has provided over 800 care package items to homeless women in the Montgomery County area so far. We did so through our WeCare campaigns which involved individuals in our community writing cards of encouragement to women in homeless shelters. We have had two successful campaigns so far and look forward to having a greater impact through our Noble Up program occurring this fall. In addition, it is humbling to know that there is much more to uncover, discover, and learn. I have been blessed to have experienced professionals and entrepreneurs as mentors who advise me on how to have a greater impact in my community through Noble Uprising. I would define myself as a passionate, innovative, powerhouse. My passion drives me to tackle any problem that I face in an innovate and energetic way. My faith and purpose inspire me. Throughout my life, I was provided with great opportunities to be a productive individual in my community. I was provided with an amazing family, great career opportunities, and an excellent debt-free education. However, there are individuals who are not provided with such opportunities. I truly believe that my purpose is to provide opportunities for individuals who are often overlooked and underserved in life. Knowing this purpose is what keeps me going. What advice would you give to other female founders just starting their business? I would advise other female founders to ask a lot of questions. In 8th grade when my classmates received awards, I received the Most Likely to Ask Why Award. I truly believe that asking why and why not has enabled me to grow as an entrepreneur. Noble Uprising was created because I asked why there was an increase in homeless individuals in my community. I would advise other females founders to be confident in reaching out to individuals who can help them answer their questions. I have learned that individuals are always willing to advise and mentor young leaders so be bold and confident. The worst they can say is no. How did you first learn about the WBENC Student Entrepreneur Program? I learned about the WBENC Student Entrepreneur Program through Lois and Bob Gamerman of Soft Stuff Distributors. Lois, Bob, and I met during a dinner that was hosted at my university. We all sat at the same table and I began telling them about the work I do with Noble Uprising. They encouraged me to apply to the SEP program and I did. Lois and Bob have been amazing mentors and I am so grateful to them. Being a part of the WBENC Student Entrepreneur Program has been one of the best experiences I have had thus far. I enjoyed connecting with like-minded students who have similar career aspirations as me. We were able to collaborate easily, bounce ideas off each other, and confide in each other on challenges that others would not easily understand. I also enjoyed networking with professionals who were eager to collaborate with Noble Uprising. The program was truly amazing and I am so grateful to be a part of WBENC family. What did it feel like getting up in front of an audience and judges to pitch your business? I was nervous at the thought of pitching my business to a room of people and even more nervous when I actually got on stage. This was the first time I have ever participated in a pitch competition so I was quite anxious. Thankfully, I had amazing mentors like Laura Glaza of Allstate and Carrie Martinez of CM Productions who helped me with my 90 second pitch and 10-minute pitch. They were very supportive and I owe my success in the pitch competition to them and other individuals who willingly took time to coach and advise me. I am so grateful to WBENC and the women in the WBENC network. What did you learn during the program that will help you grow your business? During the SEP program, I learned how to cultivate meaningful relationships. The Noble Uprising business model relies heavily on partnerships with organizations that can employ our Noblewomen for entry level positions after they are trained. Being a part of the program enabled me to network with a lot of organizations who are now working with Noble Uprising to empower underserved women in the community. What’s next for you and Noble Uprising? I graduated from the University of Maryland, College Park this spring so I look forward to working on Noble Uprising full time. Noble Uprising has a lot of great things coming up. In the coming month, we will be launching a $40K fundraising campaign that will support 15 homeless women in our Noble Up training program starting in October of this year. The program will empower 15 Noblewomen by training them for entry level job positions and providing them with resources such as professional clothing, phones, laptops, mentors, Microsoft Office Suite Certificates, and much more. If you are interested in getting involved, please email us at contact@nobleuprising.org. Audrey with fellow student entrepreneurs in Detroit. Posted on August 9, 2018 by WBENC and filed under SEP, Future Friday and tagged student successstory Q&A apparel SEP.